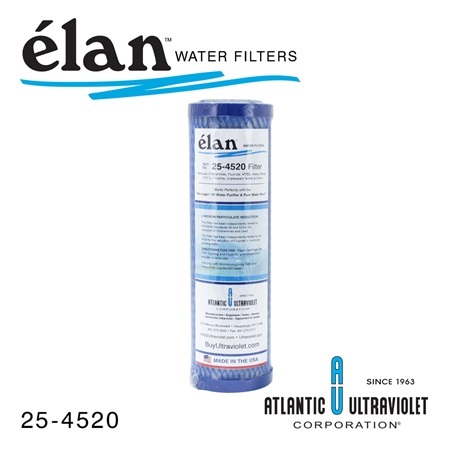 This 2 Micron Carbon Block 10" Cartridge Filter for the Bio-Logic® Pure Water Pack™ reduces Fluoride, Fluorosilicic acid, hydrofluorosilicate, sodium fluorosilicate, sodium fluoride, Chloramines, Chlorine, Lead, Heavy Metals, VOC’s and Pharmaceutical Compounds. Each Pure Water Pack™ uses one Carbon Filter and one Sediment Filter. See 25-4508 for the replacement 5 Micron Sediment Cartridge Filter for the Bio-Logic® Pure Water Pack™.